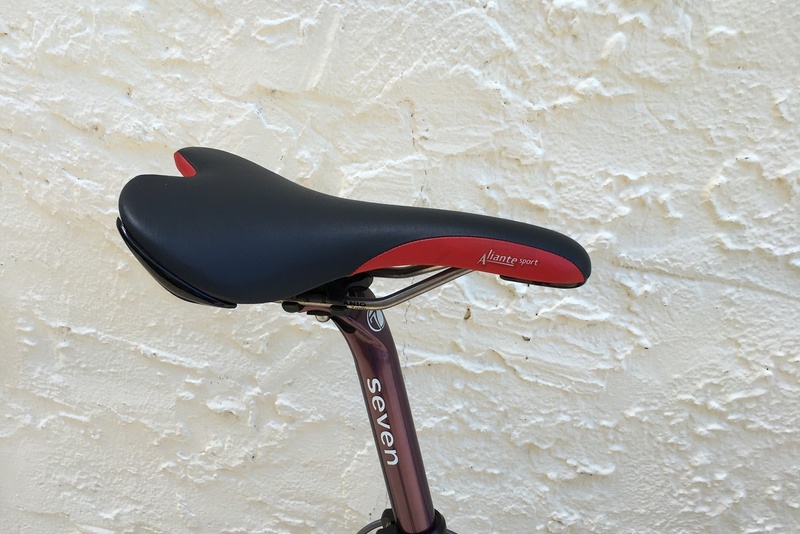 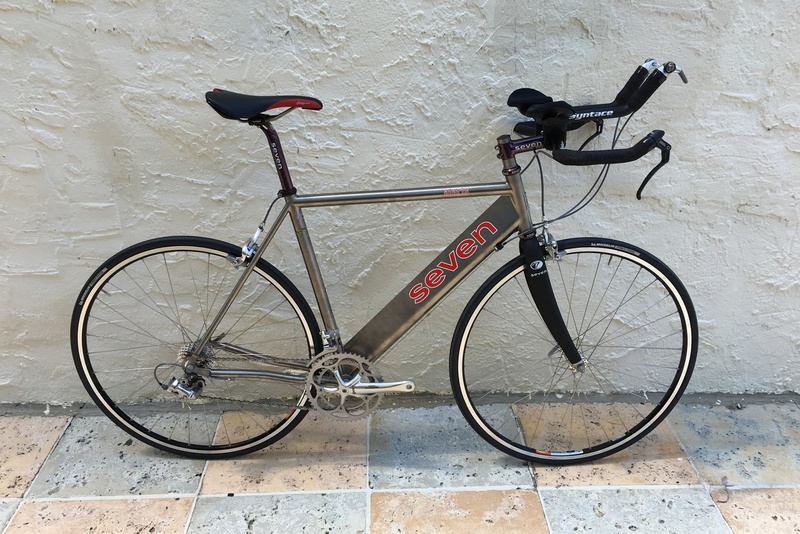 Triathlon geometry 77.0 degree seat tube angle top tube 55.8 seat tube length 51.5 4 degree top tube slope head tube angle 73 with Mega down tube. 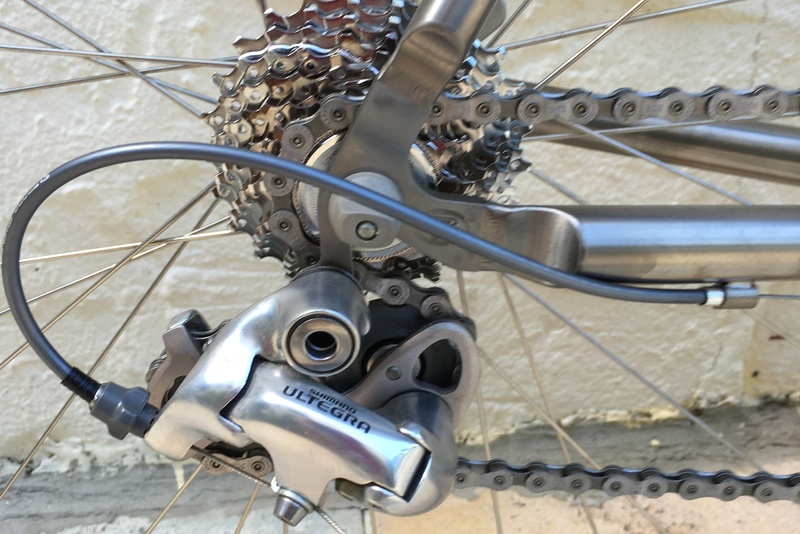 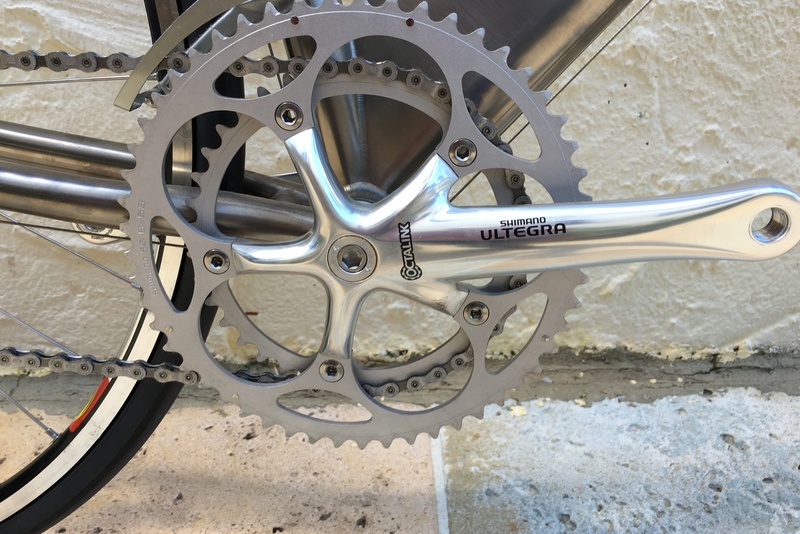 Shimano Ultegra equipped Seven Cylcles alloy stem 110 and seat post Seven . 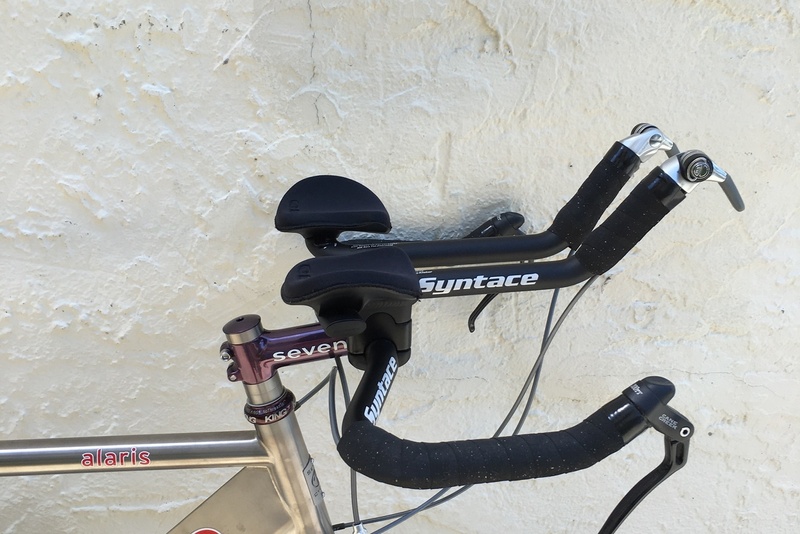 Syntace C2 aero bar and base bar bar end shifters Dura Ace.